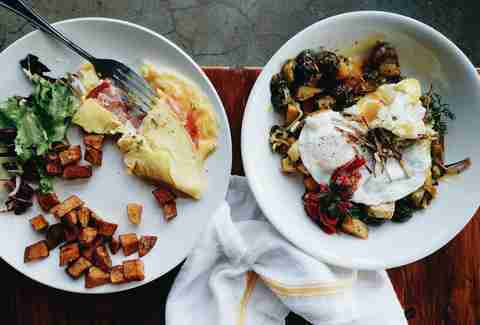 Portland is rife with brunches. It’s as though some city legislation required every establishment that serves food to serve weekend brunch, even dive bars. And with so many to choose from, it can turn what should be a relaxing weekend activity into complete decision paralysis. 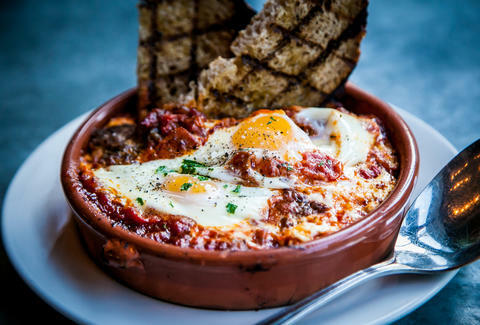 So to alleviate that, we’ve rounded up the best brunches in the city -- although we can’t promise the lines will move quickly. Side note: Many are weekend-only, so if you’re looking for a midweek breakfast, check those out right here. For a while, Pambiche’s weekend brunch was considered a bit of a secret, but now the secret is out: Portland’s Cuban brunch is unique, fun, and affordable. The extensive menu has numerous egg dishes, often with beans, rice, plantains, or avocado. Salads, sandwiches (including a Cubano, of course), empanadas, and croquetas also adorn the menu. Steak and ham are heavy hitters here, but there are plenty of vegetarian and even vegan options offered as well. It’s a great way to mix up the normal brunch with something slightly different. Trinket’s small space makes it cozy and keeps the menu limited (which is a good thing). You won’t have to agonize over a bevy of options, and each dish is carefully, lovingly constructed. The menu is almost entirely savory, featuring locally sourced dishes like a duck egg Benedict, polenta with steamed eggs and greens, and a savory waffle with onion, bacon, and goat cheese. If you’re looking to satisfy your sweet tooth, it’s best to go come in the evening, when the spot transitions into Nightcap, a cocktail bar and pie shop), but if you’re looking to avoid a post-brunch sugar coma, Trinket is your pick. 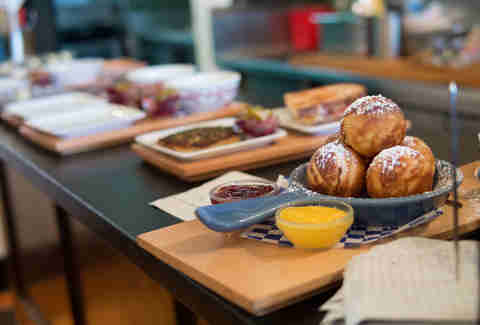 Chances are, if you’re visiting Portland and want to go to brunch, someone will suggest Broder. Then someone else will quickly squash that idea because of the wait. That’s a bad call, though, because Broder, with its Scandinavian dishes served on square, partitioned plates, is still a unique, excellent brunch service. If you’re desperate to skip the lines for baked eggs, smoked trout, æbleskiver (Danish pancakes), and aquavit bloody marys, head to Broder Nord on Interstate, which is larger and less busy than the original Clinton St. location. If do you end up at Café Broder and the line is simply too long for you, head right next door to La Moule. Chef Aaron Barnett has created a brunch menu that matches his dinner offerings in French-inspired indulgence. Start with a plate of oysters and move on to avocado & crab toast or bacon & mushroom poutine, and finish off with a Belgian liege waffle with chocolate and cream. Of course, it wouldn’t be La Moule without its eponymous mussels or expert cocktails, and you can find those on the menu as well. Another Portland weekend meal institution, Tasty n Sons helped usher in the era of shareable brunch plates. Like other places, expect a wait, but grab a coffee or cocktail (or coffee cocktail) while you do. The European, Asian, and Middle Eastern-inspired plates included polenta ragu, radicchio salads, boudin blanc omelettes, and shakshouka. The menu at Tasty n Alder is similar to the one at Tasty n Sons, though a bit larger. Both have a large array of brunch drinks, from bubbles to coffee cocktails to boozy milkshakes, and both are open during the week. Genoa, one of Portland’s original prix-fixe dining experiences, is gone, but its offshoot, Accanto, lives on. The menu here is small and Italian-focused, including rigatoni carbonara and red beet ravioli, because why shouldn’t pasta be on a brunch menu? If you’re looking for something a little more traditional, though, Accanto delivers with biscuits and gravy, French toast, and even a standard two eggs with potatoes, toast, and bacon or sausage. Screen Door’s weekend lines are exactly what people point to when they talk about how Portland has “ruined brunch.” It’s a fair criticism, as waiting in line for an hour or more for a meal is absurd, no matter how good it is. And yet, Screen Door is on this list because there’s a reason people stand out in the rain at 10am on a Sunday: the chicken and waffles. Three chicken breasts fried to golden perfection, drizzled with syrup, and stacked tall on a thick, sweet potato waffle. You can get it during the week now, but that kind of takes away from their novelty because they seem to taste better when you’ve waited an hour in line for them. And yes, there are other great items on the menu, but that’s not why you’re here. At least not the first time you visit. Don’t expect eggs Benedict at the bucolic Verdigris. Instead, find a small but accomplished menu of provincial European cuisine like potato gnocchi with eggs and morels, a vegetable frittata with goat cheese, and the best toast imaginable: thick, buttery brioche that’s pan-toasted with loads of butter, crispy on the outside, and delicately soft in the middle. It’s tempting to skip the mimosa and grab a glass of French wine from the brilliantly curated menu, so give in to that indulgence. You won’t get any judgement for doing so. What’s more Portland than brunch? A pop-up brunch, complete with vintage toys and coloring sheets. HunnyMilk springs up every weekend in La Buca, where $20 gets you a drink (coffee, tea, juice, or hot chocolate), and both a savory and sweet option. If you’re looking for a little hair of the dog, upgrade your juice to a tequila sunrise or mimosa, or your coffee to an Irish coffee for just $5, and get a refill on it for the same. 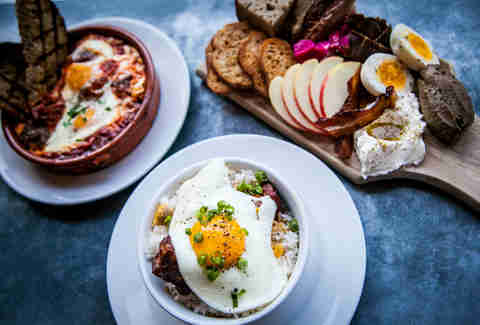 This evening gastropub turns into a brunch destination on weekends. Chef Jonny Henry’s menu is as rustic and hearty as his dinner one: steak & arepas, fried chicken with biscuits and sausage gravy, or salted caramel challah French toast are all great options to soak up the previous night’s alcohol. While you’re at it, you might as well have a few drinks... the breakfast cocktails are as good as the evening ones. 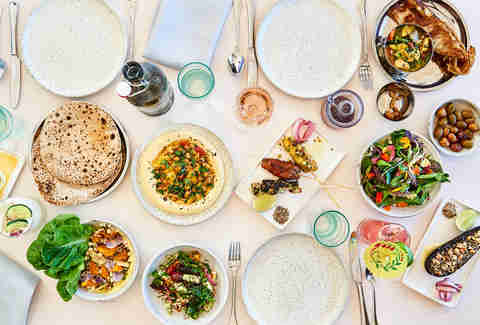 Like its dinner menu, Tusk’s brunch revolves around vegetarian-friendly, Mediterranean-inspired cuisine with an emphasis on seasonal fruits and vegetables. 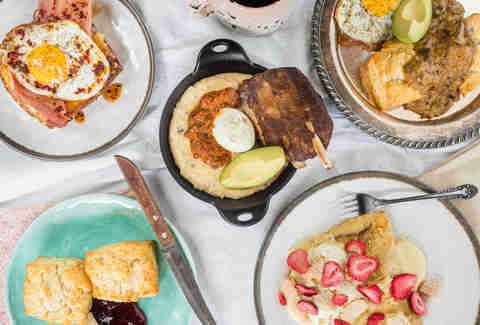 You’ll sweet breads like sesame halvah babka and pistachio gooey butter cake alongside savory plates like a flatbread sandwich with halloumi or chicken, and za’atar biscuits with pork and lamb gravy. To drink, try one of the creative cocktails or a glass of sherry, or get the house bloody mary, made with mezcal and spiced with cumin for a smoky, zesty take on the classic. 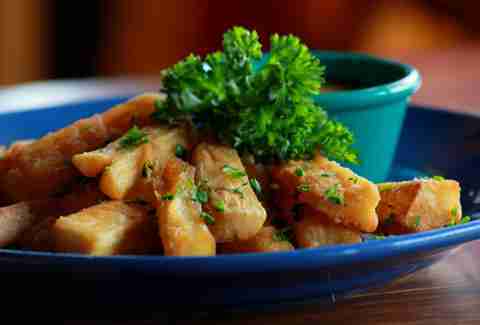 Fireside’s weekend-only brunch menu is simple but effective. Chef’s special crepes, ham and Cheddar omelettes, eggs Benedict, a veggie scramble, biscuits and gravy, and other classics make for a solid, if safe, menu. The cocktail offerings, however, are anything but traditional. Drinks like the Coffee Chaos with aged rum, lime, coffee shrub, Angostura Amaro, and demerara make for an adventurous excuse to start drinking before noon (as if you needed one). 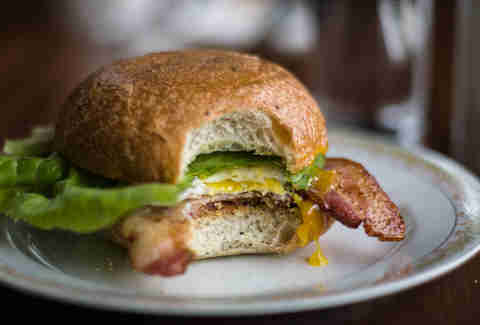 The Screen Door isn’t the only Southern breakfast spot in Portland. 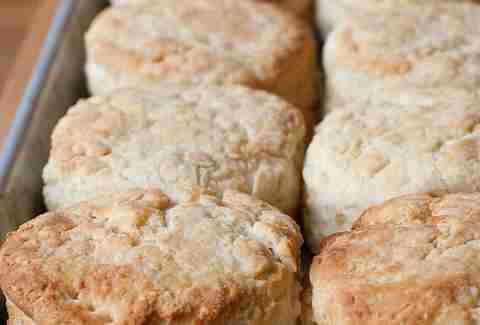 Muscadine offers a Southern-style brunch Wednesday-Sunday with fried chicken that ranks among the best in town, as well as fried catfish, smoked pork fritter, and an extensive range of Southern sides enough to make a meal out of (and pretty much the only way to eat vegetarian here). To get a taste of both the mains and sides, order the “meat and three” served for $14. 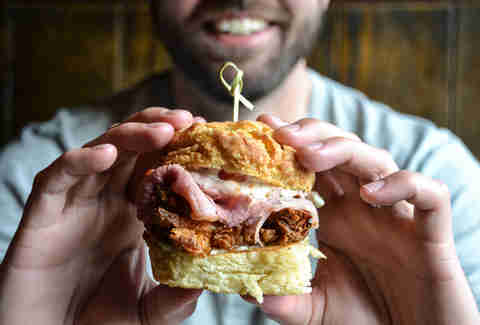 It’s the Southern brunch Portland was missing for so long... and now finally has. 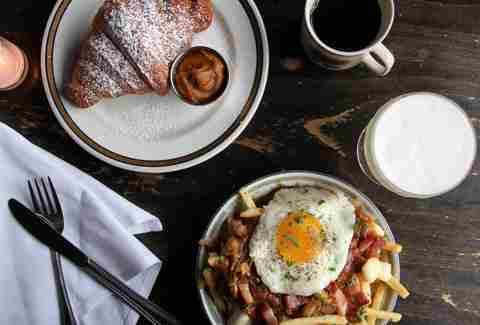 Alex Frane doesn’t always do brunch in Portland, but when he does, it’s usually to the place he was the night before. Follow his habits at @franiacdrinks.